All you need is these two parts, thats it (for one arcade button, at least). The cap snaps onto the connector piece and they're held together by friction. The tolerances for these parts will vary depending on your print settings, but you can download and modify the design to fit your project. For a nice soft LED diffusion, ideally you want your diffuser printed a filament with a light colored pigment. White, natrual and of course transparent filament will work best. 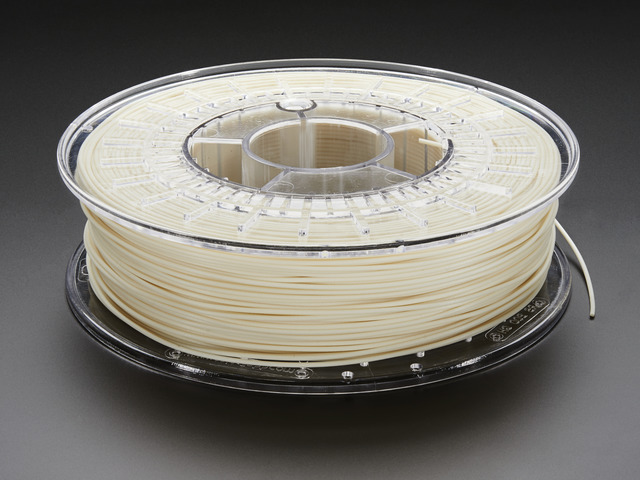 In my demos I used glowFill, which is glow-in-the-dark PLA/PHA filament from Colorfabb. It's kinda cool that the NeoPixel LEDs charge up the material so it glows when the lights are turned off. The arcade button is very modular and really easy to take apart. The button consists of four pieces. To get to the clicky center of the button, we need to remove the top cap. Look for the two openings in the side of the button. You'll see a clip on the side, near the top of the opening. 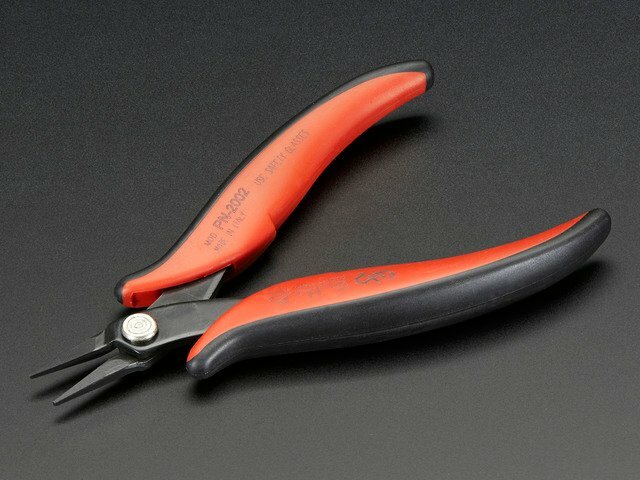 Use a screwdriver or flat pliers to push the clip inward and up, so that the cap lifts up from the body. If the cap is hard to remove, try pushing in both of the clips from the side. Carefully pull the cap off the button. The stock diffuser has a stem coming from the center. Grab it and pull it out. You can disgard this or save it for another project. Insert the 3D printed diffuser into the top cap with the cut outs lined up with the clips on the sides. Press it down, all the way into top cap. The tolerances should have a tight hold. Make sure the two nubs on the side pass through the slits near the clips. The NeoPixels require three wires, power, data and ground. These are indicated on the pads near on the bottom of the PCB. The arrow indicates the direction of the chain. 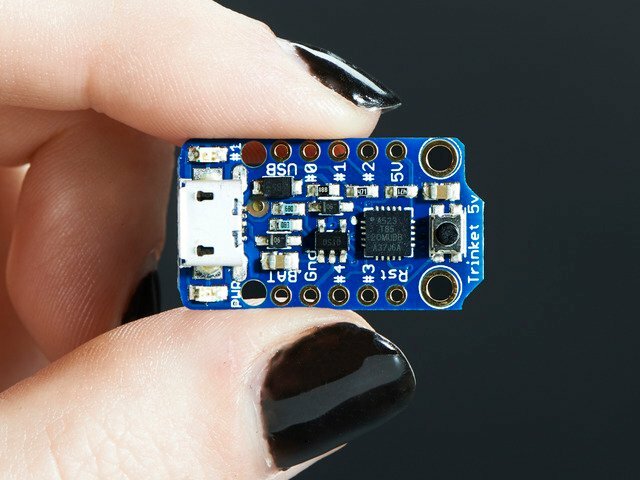 You'll need to determine how many NeoPixels your project will need. NeoPixel LEDs can be chained together by soldering wires from the data in to the data out. The wires in between NeoPixels should have a minimum length of about 6cm - This will vary depending on the distance between the buttons in your project. Carefully insert the chain of NeoPixels through the opening in the side of the arcade button. This opening is just large enough for the NeoPixel mini PCB to pass through. If your project uses multiple buttons, you need to pull the entire chain of NeoPixels through the body of the first arcade button. Depending on how many NeoPixels you have, you'll need to thread them all! Pull the first NeoPixel in the chain to the center of the body and position the wires so you have some slack to work with. Insert the NeoPixel mini PCB into the 3D printed connector using flat pliers. The PCB fits in the center of the part and held in place with the two clips on the sides. The NeoPixel mini PCB is fitted into the 3D printed part. 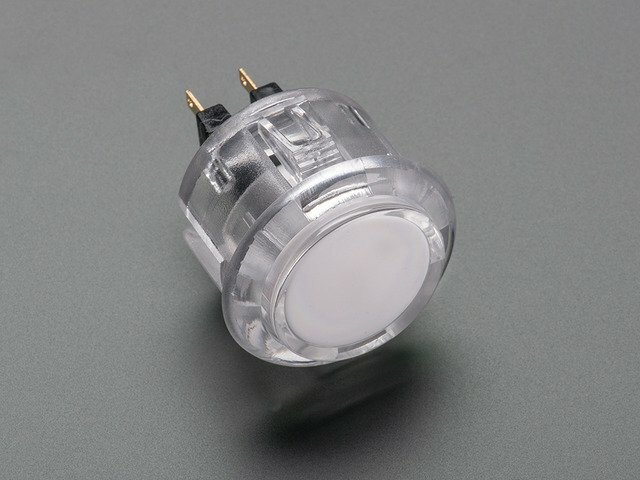 The NeoPixel should only be installed into the connector if its installed through the arcade button! Insert the connector into the diffuser cap with the wires lined up with the cut outs. Press the two pieces together to snap them shut. The bottom of the 3D printed connector has space for wires to pass through. Insert the assembled diffuser cap into the body of the arcade button with the clips lined up with the openings on the side. Be aware of the wires while installing the cap, they could get stuck or kinked! Ensure the clips from the cap are in place and free to press. There should be enough clearance for the wires to be strain-free. Once you have the first time complete, you can repeat the process. 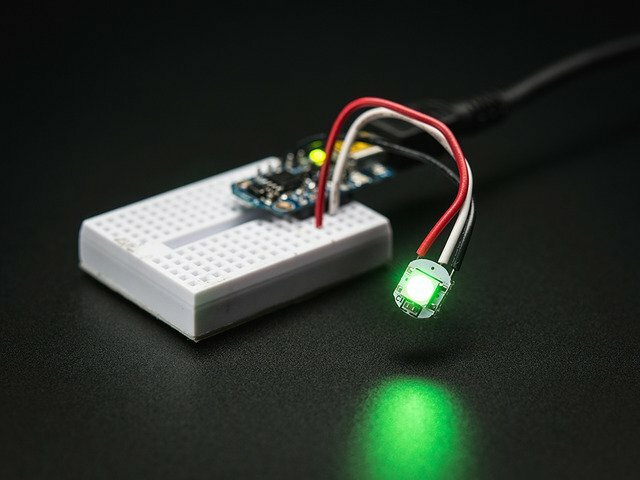 The NeoPixel works with most arduino micro-controllers. In this example it's wired to the 5V, GND and D0 pins on the 5V Trinket. You can use the strandtest demo sketch included with the NeoPixel Arduino library for a sweet rainbow animation and chasing pattern. This guide was first published on May 12, 2015. It was last updated on May 12, 2015.